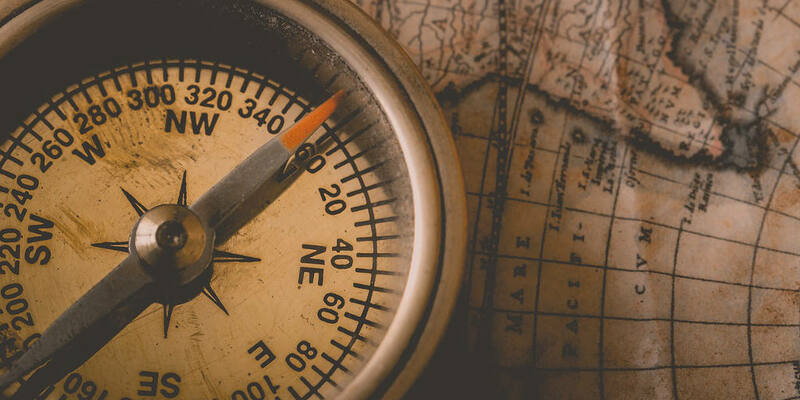 This is the second installment of our new Beginner to Blogger interview series, where personal finance bloggers share how their “origin stories” about taking charge of their personal finances. Today, I’m excited to share this interview with Dave from The Financial Journeyman. In the two and a half months I’ve been blogging on PFFB, I’ve already had a handful of great interactions with Dave over on the Rockstar Finance forum and Twitter… I’m sure you’ll enjoy connecting with him as well! My name is Dave (@TheFiJourneyman on Twitter). I blog at The Financial Journeyman. I am a 41-year-old guy who has been working on reaching financial independence since 1997. I work in HR and my wife is an elementary school teacher. On my blog, I write about career and self-development, saving money, passive investing, and other topics tied to personal finance. I was 20 years old. During the day, I worked in a factory performing manual labor while attending college in the evenings. The work was hard, and I did not want to waste my earnings. I dreamed of being rich or “financially independent,” as we call it nowadays. I was saving at least $100 per week. My dad worked as an accountant, and I asked him about investing. He and I went to the local bookstore and bought two books and a magazine about investing. The directions were simple. Save as much as you can and invest in mutual funds. I never lost money on a bad investment. Don’t get me wrong, the value of my accounts has gone down during the last two recessions, but I never bought an individual stock that became worthless. During the past market corrections, I rebalanced my retirement accounts and tax-loss-harvested in taxable accounts. There are always opportunities for long-term investors. My biggest financial hurdle was that I did not finish college until age 29 and grad school until 38. I worked and saved during those years. If I finished my education earlier, I most likely would have earned a higher salary much sooner. To overcome a low salary, I just did not waste money. Saving was more important than buying fancy things, so I opted to save. I work in HR for a living, mainly in recruiting. When you ask a prospect what their weakness is, they should not answer with a strength. I might have to go against that rule. I am wired to always try to save more. My wife and I save more than 50% of our gross income. I am working on not trying to save more than that and to enjoy some of our earnings today. It is much harder than it sounds if you have focused on saving as much as possible for more than twenty years. To be financially independent, a person needs to have 25 years of living expenses in savings. To achieve that is no small feat. In my opinion, people look past FI and want to jump right into FIRE. Now that we are FI, work is less stressful. I am free to keep my job or go do something else. Financial independence equals freedom. I am not bound to a job because my bills will not get paid or my family will not eat unless I earn a paycheck. It is truly a wonderful place to be. I cherish it every day. My life has always been very good, but this dimension of living is just different from how the masses live. Obviously, financial independence is not an attainable goal for everyone, but if it is your goal, keep your head down and keep moving forward and make it a reality for yourself. Not to get too philosophical, but I feel that chasing happiness can be a dangerous thing. I have found finding acceptance and peace of mind to be more of a lasting state-of-mind. Getting too high is as bad as being depressed. For me, I have found that staying balanced is a healthy place to be. In my experience, money can’t buy happiness. Happiness must come from within. Money just makes life better. If a person’s mind is not right, money can also bring them down even further. Since my wife and I are on the same page with money, I think that it has improved our relationship. Many couples fight over money. We rarely do. She might call me a cheapskate from time to time, but that is as far as the negativity goes. The big thing is being on the same page about money. A couple must be pulling in the same direction or they are pulling in opposite directions. The focus of my career has been twofold. I go to work to make money as well as to try to be of service to others. Now that I am financially independent, I try to focus more on the service aspect. I will not turn down a chance to get a raise or a bonus check, but I try to always be looking for ways to help my co-workers, my sole employee, and our clients. My main hobbies are fishing, working out, reading, and watching sports. I have taken a frugal approach with all of them. For fishing, I use a $1,100 kayak that I transport on top of a small SUV instead of a $20,000 boat and trailer that would require a full-sized pick-up truck to transport. I work out with weights that I have in my basement instead of paying for an expensive gym membership. I buy used books from Amazon or the local used bookstore when I can. For watching sports, the best seat is in front of the TV, but I still go to at least one NFL or big-time college football game per year. Start by saving 10-15% of your salary. Increase it by 1-2% every year. There can be no excuses. Even if you do not get an annual raise, it must be increased every year. Find a way. If you do that and invest it in an index fund that captures the market average, you will have a nice pile of money in 20 years and most likely be close to financial independence. Get a job that best matches your aptitudes. Also, focus on making money when it comes to working. Don’t look for meaning or your identity from your work. That is what evenings and weekends are for. Do your work and go home. If you want to truly make a difference, volunteer to serve breakfast once a month at your local soup kitchen. Don’t get overwhelmed by thinking investing is complicated. It can be as easy as buying a target- date-fund and nothing else. Your saving rate is the most important aspect if you are going to be successful or not. Finishing grad school. It only cost me about $2,000 in out-of-pocket expenses. My former employer had tuition reimbursement, and I took full advantage of it. I used that degree to get a better paying position and more autonomy. There are many great personal finance books. If I had to pick only one, it would be The Boglehead’s Guide to Investing. It is a comprehensive enough book that covers a wide range of topics. It would provide someone with enough information for them to be successful with their personal finances. I have been studying about personal finance for a long time. My friend who I help with his investments works in network security. He and I talk about investing often. One day, I said jokingly that I should start a blog. He said that he would put it together for me. That was how it started. It has been a great experience. It is fun to interact as a member of the financial independence community. My audience is growing every day. I am making new friends almost every week. My Uncle Xavier: Veteran, Millionaire, Mentor. It is a post about my Uncle who did not come into my life until I was in my early 20’s. He moved back to his hometown after living in Washington D.C. for his whole career. He lived an interesting life and showed me how to live if I wanted to become a successful investor and a better person. Thank you for sharing your story and wisdom, Dave! 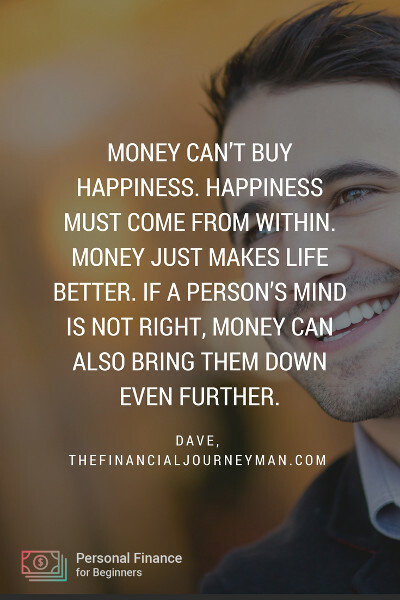 What do you think – can money buy happiness? Share your thoughts below! It’s strange, isn’t it, Dave? Working when you’ve reached FI that is. As you say it’s liberating and it naturally pushes you closer to the service aspect of others. As for the question, does money buy happiness? Whatever you believe is true!